I have never been to the Oscars. Nor have I been to a pre-Oscar industry party. I want, badly, to attend both such things. In the meantime, though, I enjoy being a resident of Hollywood during awards season, and witnessing, if only peripherally, the excitement. Last Saturday night, Joseph and I went for one of our typical evening strolls through Hollywood. 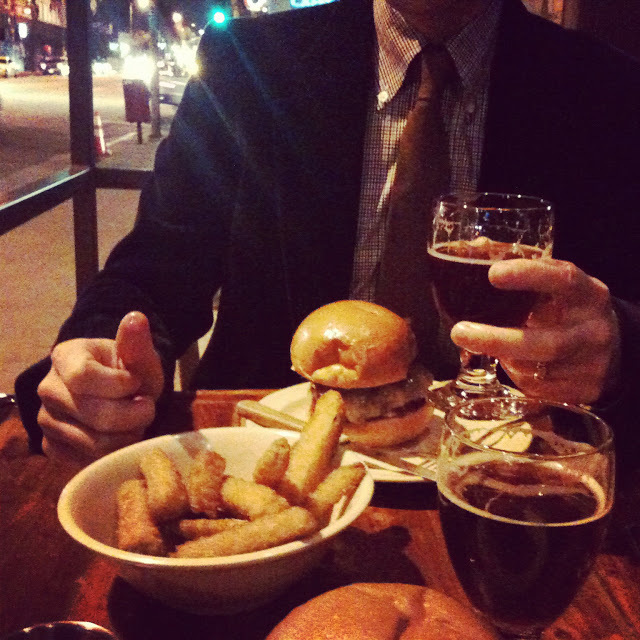 We got dinner at Stout, each of us savoring their signature Stout burger, and jauntily sipping a few ales. Then, we went to Musso and Frank (Charlie Chaplin’s old haunt, if you didn’t already know) for a good old Martini. The bar was, of course, packed and we propped ourselves up on the divider wall between the bar and the restaurant while we sipped our cocktails. We noticed that a group of people at the bar were in formal attire, and we assumed they’d just come from a pre-Oscar party. They were also trashed. Bow ties hanging half undone, spaghetti straps slipping, updo’s falling down. Finally, with much drunken drama, they left and we took their seats, which were littered with wrappings from their swag bags. At first, I pushed it all aside, but then I got to looking. They’d left not just the wrappings, but the swag. The program revealed that they’d been to a fundraiser for cardiovascular disease research, honoring Larry King. 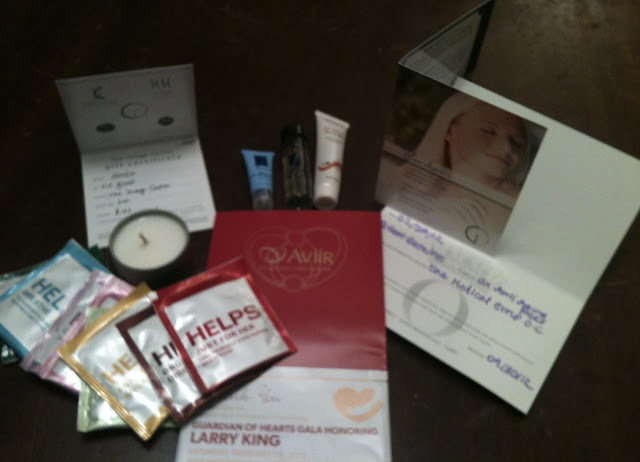 I dug up a handful of teas, a sample green tea toner, a sample moisturizer, a sample suncreen, a candle, a $100 gift certificate to a spa, and a certificate for a free facial peel from a different spa. I felt . . . treated. I love Oscar weekend.